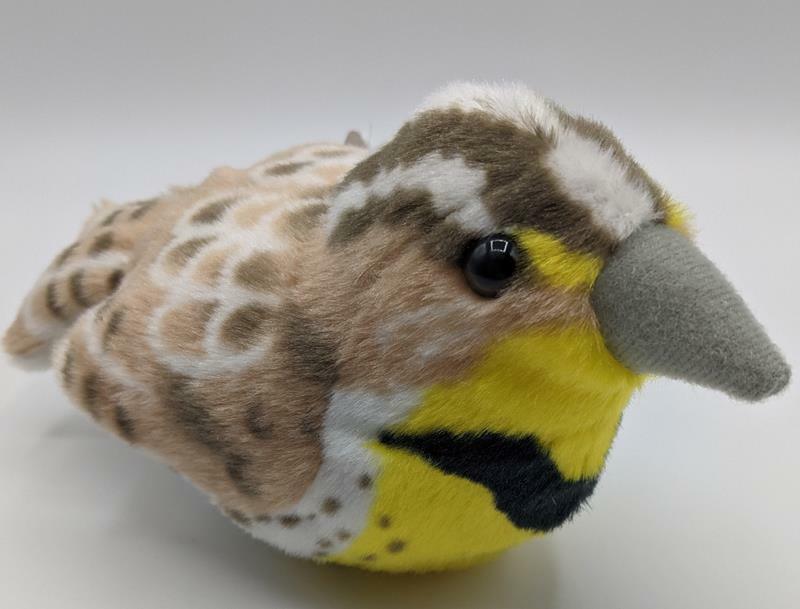 This soft stuffed animal makes the call of the Western Meadowlark. In 1937 Kansas adopted the Western Meadowlark as the state bird because of its abundance in the area. The brown, yellow, and black bird makes its nest on the ground in a clump of grass.